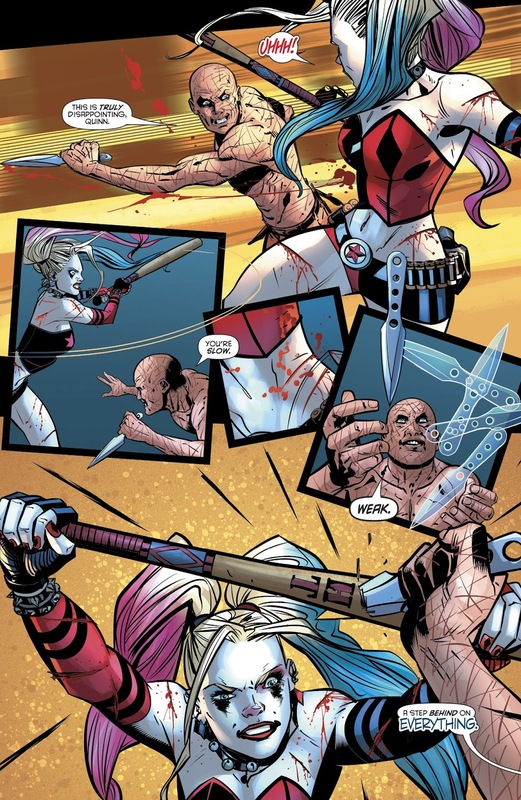 Harley Quinn’s not in tip top shape, having gone against other C-list villains without rest, so I can see why Victor Zsasz is having an easy time with her. The fight’s not conclusive since Red Tool intervened. He still is, but she totally is too. Seems this is just the only way they know how to write the Bat-cast.